Most of the time when I see the word “bot” I think of Russian trolls influencing the U.S. election. But not this time! USA Today investigative reporter Brad Heath has created an automatic Twitter bot that follows selected U.S. Supreme Court, U.S. Courts of Appeal, and Federal District Court cases of note and posts documents from new docket entries to Twitter. The bot uses PACER RSS feeds to gather the latest filings from 74 U.S. District Courts and five federal courts of appeals and stores the docket entries in a database. It matches new filings against a preselected list of major cases, scrapes matching documents from PACER, uploads them to a DocumentCloud project and posts the results on Twitter. You must have a PACER account in order to access the documents – we do! So if you want the latest filing on United States v. AT&T and Time Warner, or any other U.S. court case you’re watching, let us know if we can help. There may be a fee for retrieving documents. And follow Big Cases on Twitter for up-to-date notification. h/t to Internet for Lawyers. 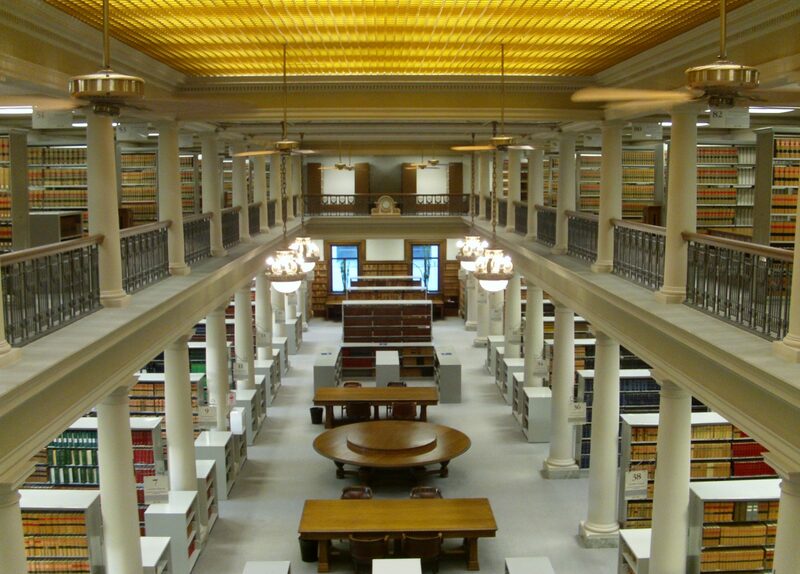 vLex Canada, the only place to research enriched Canadian case law alongside a growing collection of law journals, secondary sources and a dozen core legal texts. A service of Compass, the successor to Maritime Law Book, vLex Canada is home to the venerable Manitoba Reports (2d), and it supports topic-based Canadian case law browsing and search using the MLB Key Number System across over 100 topics and tens of thousands of sub-topics. vLex US provides comprehensive case law, statutes and regulations at both the federal and state level, as well as full-text access to over 290 secondary legal sources. If you would like training on these or any of the other e-products available, please contact us and we will be happy to set up a webinar. I think this will be the end of new electronic content for a little while. I’ll be reviewing analytics to determine the uptake of all these new resources, so please try them out. With the high cost of subscription caselaw databases, we’re always looking for authoritative free sources. The Free Law Project is a California non-profit public benefit corporation whose mission is to “provide free, public, and permanent access to primary legal materials on the Internet”. Working with PACER (Public Access to Court Electronic Records) they have collected every free order and opinion available on PACER and published them on an easy-to-use site called CourtListener. PACER is similar to our Court Registry. It hosts case file documents and docket information for all district, bankruptcy and appellate courts. While it’s not free, it is very reasonably priced. If you’re looking for document information for a U.S. decision, we have an account with PACER and can help you find it. CourtListener and Google Scholar should be of benefit to those firms who can’t justify subscribing to a U.S. database.